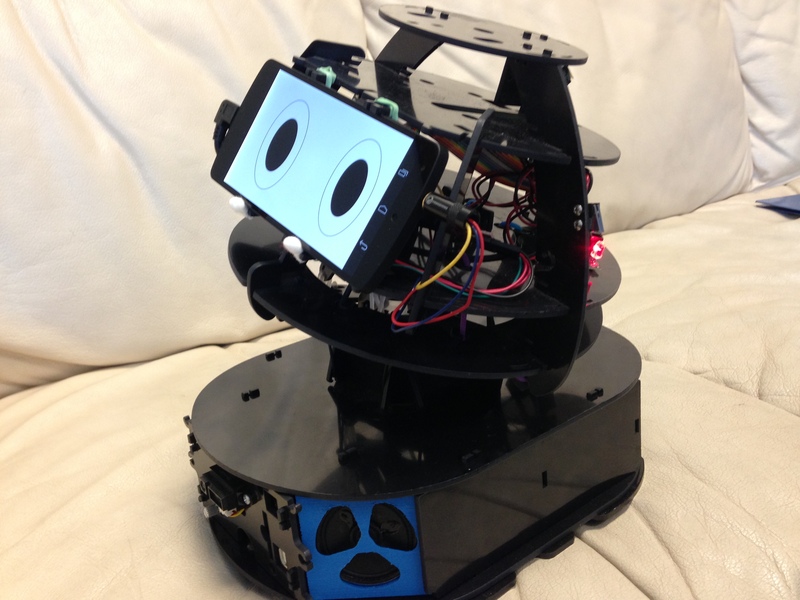 ElderBots was chosen as one of 19 semifinalists in a field of 111 applicants for the UpPrize. …. (formerly known as Romibo). Here’s a sneak preview of EB’s new architecture- the primary change is the replacement of the mechanical eyes with a smart phone, which opens up many new possibilities for EB’s functionalities. ElderBots is pleased to welcome Dr. Cetin Merlici, a Senior Robotics Engineer at the National Robotics Engineering Center (NREC) of the Robotics Institute, Carnegie Mellon University. Cetin is upgrading “Romibo 1.0” and planning “Romibo 2.0”. We are excited to have him aboard, and look forward to the improvements to the robot that he has in the works. So, riding on Suvir’s coattails, we’re now “national” along with him. Finally finished the face tracking app. Using the iPhone’s frontal camera, Romibo’s eyes move based on where you are. It blinks too! The Romibo app is now available for iPad in the App Store. Download today! Test out our new app! Our new app features a redesigned interface, a new driving mode, lockout feature, a custom page for phrases, and more! Interested in testing it out?